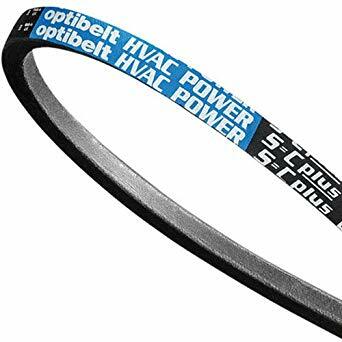 Optibelt HVAC POWER (A - 4L) is specifically engineered to meet the demands of small motors and drives. Highly Flexible: Engineered flexibility to fit a wide variety of small variable pitch adjustable motor sheaves. Increased Life: Rubber impregnated dual fabric wrap is bonded with the belt's core for superior durability. More Efficient: Premium low strech cord ensures better contact throughout the belts life. Match Sets: Features OPTIBELT's S=C Plus manufacturing tolerances.